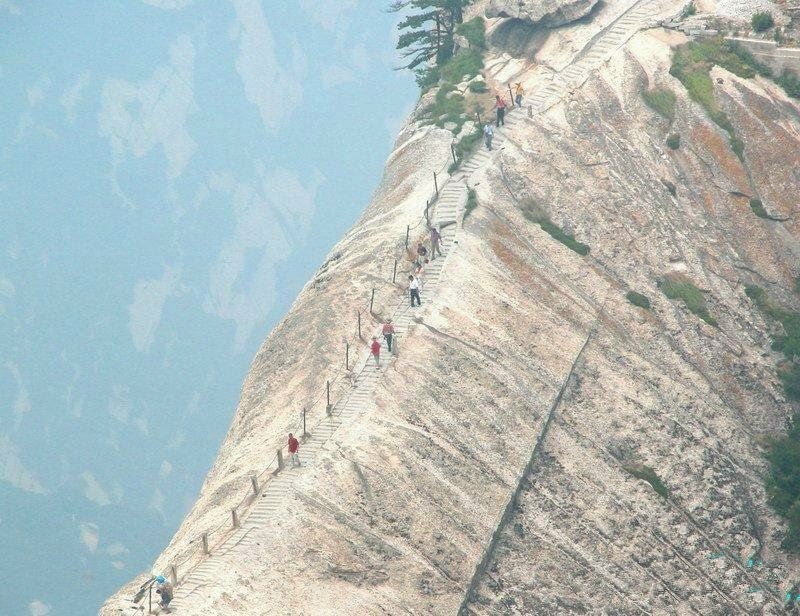 We hope you’re not afraid of heights, because this even made our palms sweat. What you see below is a mountain in China called Mt. 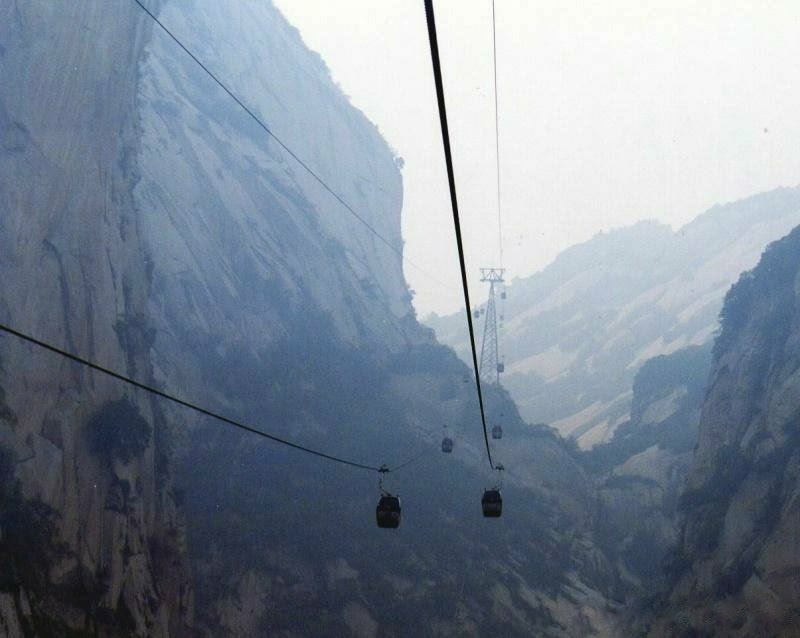 Hua Shan. 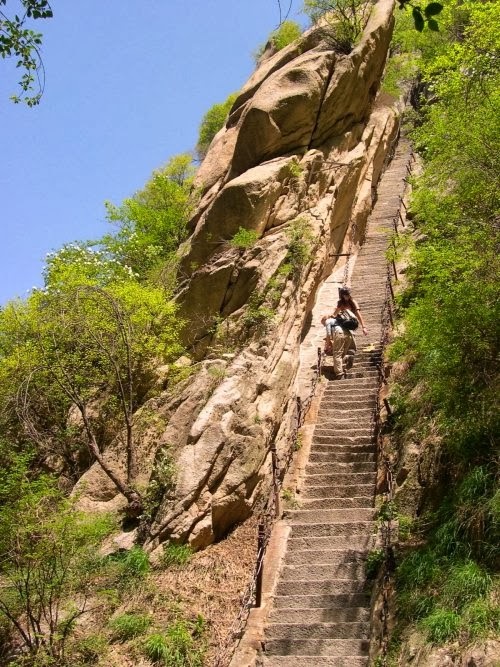 At its base, you’ll find a gigantic set of stone stairs, called “the Heavenly Stairs.” These stairs go so high up the mountainside, it’s hard to see where they end. 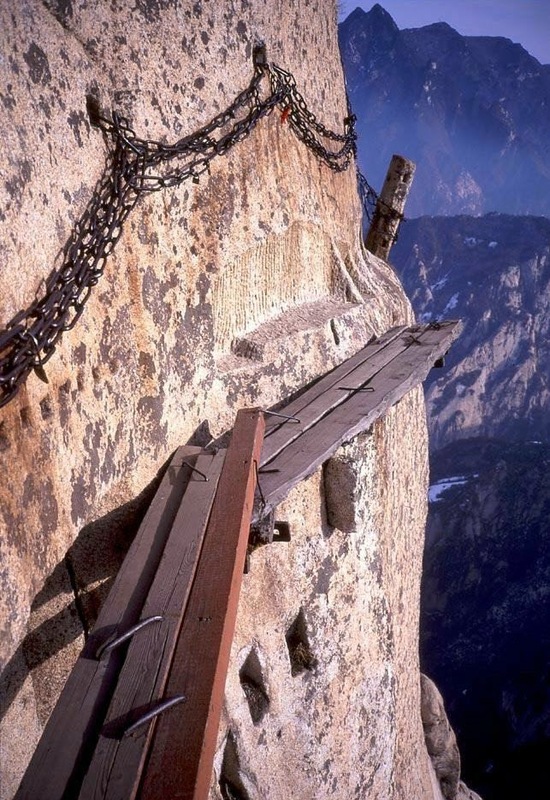 If that wasn’t enough, the precarious stairs lead to the world’s most dangerous trail, the Hua Shan plank path. 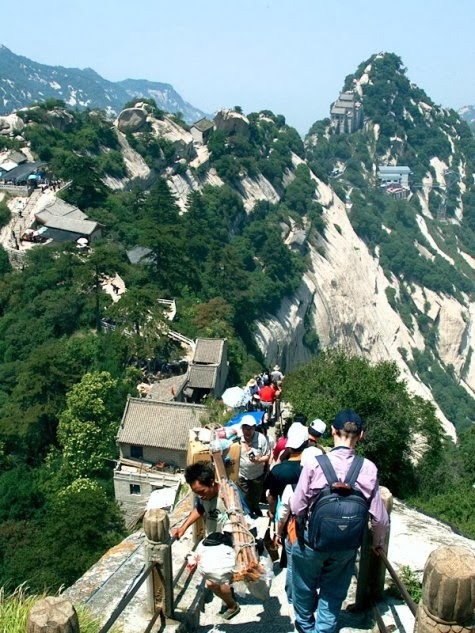 The plank trail leads high up the Hua Shan mountain just outside the city Xi’an. No one will force you to wear safety gear, although it’s strongly encouraged. The trail itself is dangerous and stunning, but what is at the top will really shock you! And they are the easiest part of the climb. As you climb the stairs, you pass little villages and houses that have cropped up on the mountain. Then, once you get high enough, you can take a gondola to the southern peak, where the plank path awaits. This is where the path turns truly dangerous, with nothing but planks to walk on and a rail of chains to hold onto.